Saphetor Portal became VarSome Clinical! The Saphetor Portal has been updated to version 7 as of February 2nd 2019 under the new name VarSome Clinical. There are many changes since version 6, and this release brings our clinical platform up to date with the features, databases and classification visible in the free VarSome.com. Our clinical platform has been on the market since 2015 and is already being used by dozens of institutional clients, such as diagnostic laboratories, hospitals, and universities from countries all over the world. 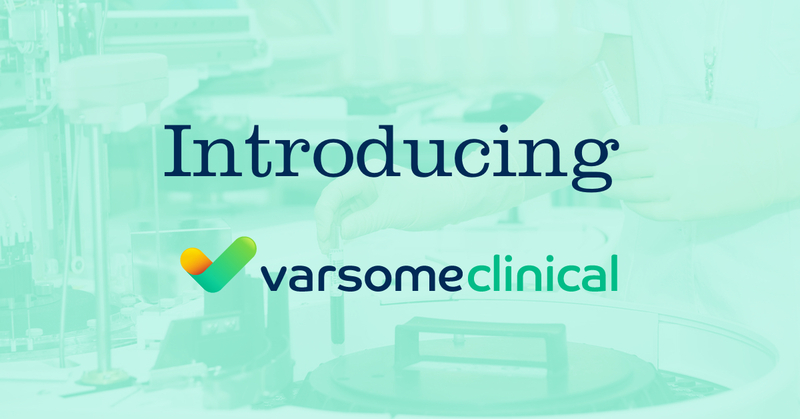 VarSome Clinical is a clinically-certified platform allowing fast and accurate variant discovery, annotation, and interpretation of NGS data for whole genomes, exomes, and gene panels. VarSome Clinical helps molecular geneticists and clinicians reach faster and more accurate diagnoses and treatment decisions for genetic conditions. VarSome Clinical accepts FASTQ and VCF files. You can upload the data easily and securely through its web interface or you can harness VarSome's powerful API for an automated data transfer. Once the data are uploaded, you can start the analysis! VarSome Clinical's robust pipeline is capable of annotating whole genomes, exomes, and gene panels for individual samples, couples, trios, families, and cohorts. VarSome Clinical leverages the massive cross-referenced knowledge base of the free VarSome.com and also offers access to certain licensed 3rd party databases. VarSome Clinical's feature-rich and intuitive web interface allows filtering variants according to pathogenicity, ACMG classification, allele frequency, gene list or phenotype, to name a few! Dynamic and algorithmic filters allow you to perform simple or advanced filtering, like segregation analysis, identification of de novo variants or variants in imprinted genes, and much more! Clinical report includes all the details of your variants, including literature references, drug-related content, and your custom comments. The layout of the report can be fully customized according to your unique branding policy. Extensive quality control reports are also available. VarSome Clinical is CE-IVD certified as In-vitro Diagnostic Medical Device according to the requirements of EC 93/42/EEC and our company is certified with ISO 13485 quality management system for medical devices. Learn more about VarSome Clinical on our NEW website! GATK has been replaced by Sentieon for all clients. All external tools were kept at the same version as the previous release. Learn more about VarSome Clinical's pipelines. The functional annotation of variants has been improved, it now takes the full impact to the protein transcript into account. A new “splice junction loss” coding impact is used in rule PM4. Rules PM1 & PM4 are now mutually exclusive. Rules BP4 & BP7 are now mutually exclusive. Splice-site prediction from the scSNV database is used in rules BP4/PP3. ACMG annotation is no longer provided for variants that are outside any transcript. Rules PS1 & PM5 now perform a full ACMG re-annotation to confirm the pathogenicity of variants reported by ClinVar, UniProt or the VarSome community. Multiple minor fixes & improvements. New displays for PanelApp, PMKB & Gene Statistics. Added HGVS protein (p.) notation for indels.